The act of buying a home can be stressful. Imagine how much worse it could be, though, if the previous owner didn’t want to leave. 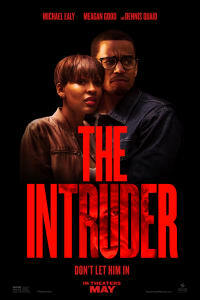 Meagan Good and Michael Ealy learn how complicated house-hunting can get when they purchase a beautiful home from Dennis Quaid in THE INTRUDER. Quaid still loves the home, you see, and doesn’t really feel like giving it up, even though this couple has purchased it and moved in. What follows looks to be a nail-biting standoff between the couple and the intruder. As THE INTRUDER makes its way to theatres on May 3 (you can start purchasing your advance tickets right now), we started thinking about classic examples of couples-fight-back movies, which can help you get into the tense and terrified mood for whatever director Deon Taylor has in store. Perhaps the best example of a home-invasion thriller, Bryan Bertino’s THE STRANGERS saw Liv Tyler and Scott Speedman playing a couple on a romantic getaway to a cabin in the woods, who find themselves confronted by masked strangers. 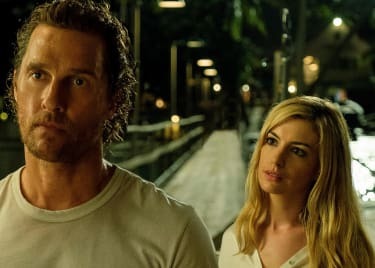 THE STRANGERS conjures that feeling of helplessness that’s integral to the formula of this genre, and few movies get it as right as this one did. “Couples” don’t have to be husbands and wives. In David Fincher’s classic PANIC ROOM, Jodie Foster and Kristen Stewart play a mother and daughter team who hide out in the safe room when intruders break into their NYC brownstone. As with most of these movies, PANIC ROOM starts with fear, but switches to an aggressive retaliation as those who are being stalked find ways to fight back. Will that happen in THE INTRUDER? 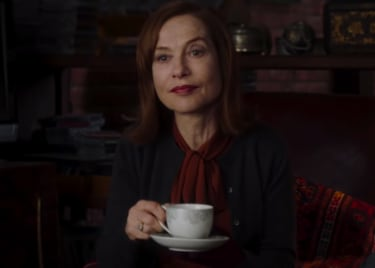 Almost every year, theatrical audiences are treated to a suspenseful home-invasion thriller, and 2019 has already seen one in Jordan Peele’s US. Yes, there’s a lot more going on beneath the surface of US. But at its heart, it’s the story of Lupita Nyong’o and Winston Duke protecting their family from invaders who look exactly like them … and it is disturbing. Threats aren’t always human. In John Krasinki’s A QUIET PLACE, real-life power couple Krasinski and Emily Blunt protect their family from alien invaders who react instantly — and violently — when they hear any sound. 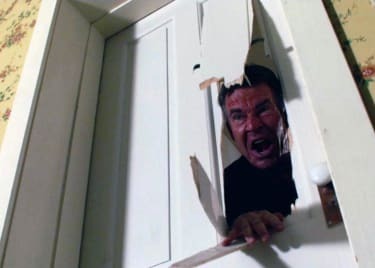 It’s a very clever twist on the home-invasion formula and one that created a unique world that audiences will want to explore again when A QUIET PLACE 2 comes out in 2020. The movies on this list likely wouldn’t exist without Alfred Hitchcock’s classic “claustrophobic” couples thriller REAR WINDOW. Grace Kelly and Jimmy Stewart track a potential killer through the back window of Stewart’s apartment and must decide how best to react to the potential threat. Hitchcock turned the screws on the audience in masterful fashion, establishing the blueprint for several directors to mine chills and laughs from a tense situation. Try catching up with one, or all, of the above movies while you wait for THE INTRUDER to open in theatres on May 3. Tickets are on sale as we speak, so grab them from your nearest AMC as soon as possible.